HMP - HempCoin was announced on June 28th, 2014 and runs without requiring a central bank. The decentralized cryptocurrency uses the proof of work (pow) consensus and it is mineable, using the Scrypt-n algorithm. 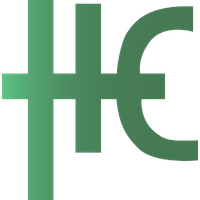 To keep up to date with HempCoin, they can be found on Facebook, Telegram, Twitter and Reddit. We don't have any cloud miners listed for HempCoin yet, check back soon! We don't have any exchanges listed for HempCoin yet, check back soon! We don't have any wallets listed for HempCoin yet, check back soon! We don't have any debit cards listed for HempCoin (THC) yet, check back soon! We don't have any price charts listed for HempCoin yet, check back soon!